The madness is about to get real! If you love basketball, then March is a month you look forward to all year, and the love for the game runs deep in your veins. I remember while growing up, I had a teacher that would let us watch March Madness on her projector during her class because she loved it so much! So, the mania is everywhere during March, and there is nothing better than spicing up your organization’s promotions than with these basketball-themed ideas that are perfect for everyone! Since it is March Madness, we will talk about basketball promotions first! These will have your fans engaged with you during half time! Now let’s see - how about a half-court shot? Mad and a Half: Select a fan randomly from the crowd to participate. If they can make a half-court shot, they could win a brand new car! Or - maybe you want to do a Progressive Shot? Progressively Mad: Will the contestant beat the buzzer or go mad trying? The contestant will have 24 seconds to complete a lay-up, free throw, 3-pointer, and half-court shot. Make all four of them and they win big! Not sure if you love these? 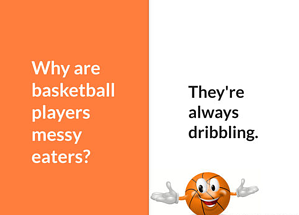 No problem visit our Basketball Promotions page for more ideas! page for more ideas! However, maybe you’re in the Automotive Industry. That’s not a problem! We have some promotions your guests will love. So, let’s take a look. Shoot Through the Roof: A sunroof that is. Select a contestant to shoot a Nerf basketball through the sunroof of the vehicle you are promoting during March. If they make the shot, they win the car! Would you rather do a promotion that all your guests can participate in? We have a lucky number guess that you can present near your reception desk. Basketball Guess It All: You will have a vehicle filled with tiny basketballs. Have your clients guess the number of miniature basketballs in the vehicle. They must guess the exact number to win the grand prize of your choosing! How about a promotion to help encourage test drives at your dealership? Add a prize vault. Vault Madness: Can your client crack to the code to the vault? After suggesting a test drive, allow your clients to take a shot at unlocking the safe. If their 6-digit guess cracks the safe, they win tickets to the final four game. Are you having fun with these yet? Let’s keep going… We also have March Madness promotions for all of our bars, restaurants, and night clubs! Let’s start with the one that everyone knows, bracket predictions! Mad About Bracket Predictions: Fans will have the opportunity to fill out their own bracket. If they can predict all 64 games correctly, they win big! Make the prize a gift card to come back to your business or offer a big money prize. It’s all about what you want. Not crazy about the bracket prediction? Score predictions are just as fun! Predict the Champs: Fans will have the chance to guess the Final Four teams and their scores to win big! Make that prize free wings for a year if you are a restaurant. Bar or night club? – offer free beers for a year! The sky’s the limit here, but we suggest $10,000! 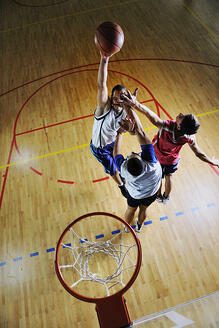 Looking for a March Madness promotion for your retail business? Look no further because we have the ones you are looking for. Pick Your Play: Hidden in two envelopes are basketballs and the other 18 envelopes are empty. Allow a contestant to select two of the envelopes to see if they can find both basketballs. If they do, they win tickets to the championship game! Not quite what you are looking for or you want to reach more people with your promotion? Why not do a social media driven contest? Like & Share Your Way to The Final Game: Make a post on your Facebook page about the prize you are giving away and how you can enter. As one of the requirements, the followers must like, share, and comment “done” to be entered. Each entree will be given a 5-digit number. Once the like, share, comment time frame is complete on Facebook, you will then do a Facebook Live video of selecting the numbers through a drawing. If the numbers match the lucky contestant’s number, they can win the grand prize! The options are limitless for this industry. Radio – let’s give your fans something to make them crank up the volume! The first promotion is called a lucky list, and it’s a fan favorite. 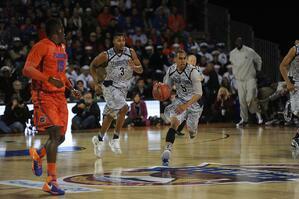 Elite Eight List: Can the 9th caller guess the order of the elite eight? You will be provided a list of the elite eight, and the caller must place the elite eight in the correct order to win! If they do, they win tickets to their game of choice! Birthday Player Match: You will select a final four player for this contest. If one of your callers has the same date & time stamp on their birth certificate & hospital location as your chosen final four star. The caller wins! Make that prize money, gift card, tickets, or anything your heart desires. There’s no better feeling than having your listener excited to hear you on the radio! See how much fun these promotions can be? This isn’t even all of them! Having creative abilities makes this even more fun, but, if creativity isn’t your strong suit, we also have a creative services department to help out. Either way, let’s get the party started and begin planning your March Madness promotions today. It’s never too early or too late to promote your business. I can guarantee that Grand Prize Promotions will take the best care of you! Connect with our staff today or fill out an online form by clicking the button below!